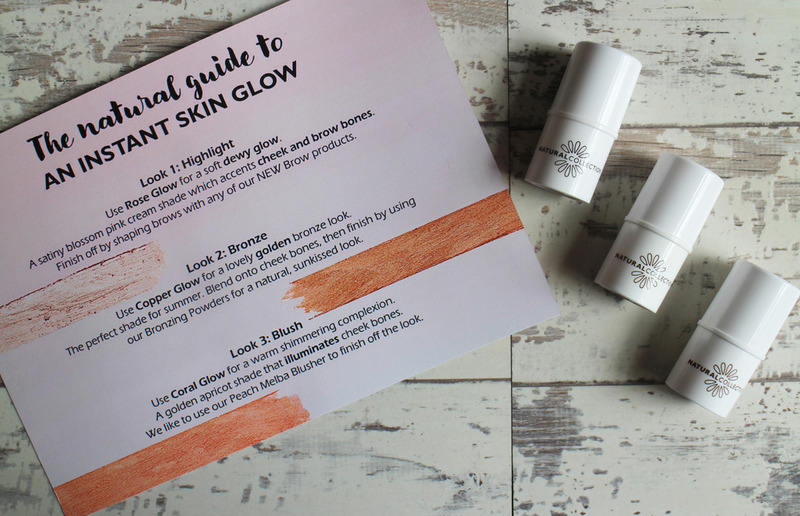 The latest Natural Collection Beauty Box arrived the other week and i was very excited by its contents; for the past two boxes there has been a set theme but this time around the box was filled with some of Natural Collections new releases - their new brow range and their new instant glow range. First up, their brow range. 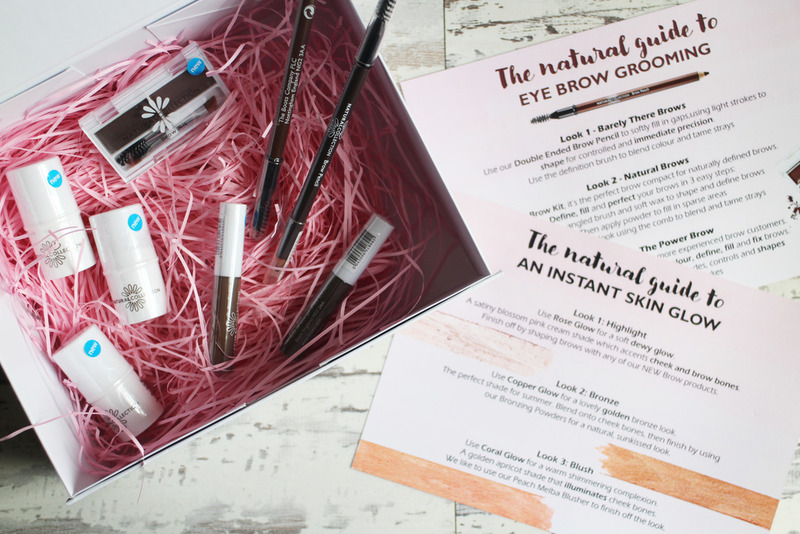 Brow products are a big thing at the moment and so many brands are jumping onto the bandwagon and releasing their own offering and Natural Collection are one of the latest brands to release a range of brow products. 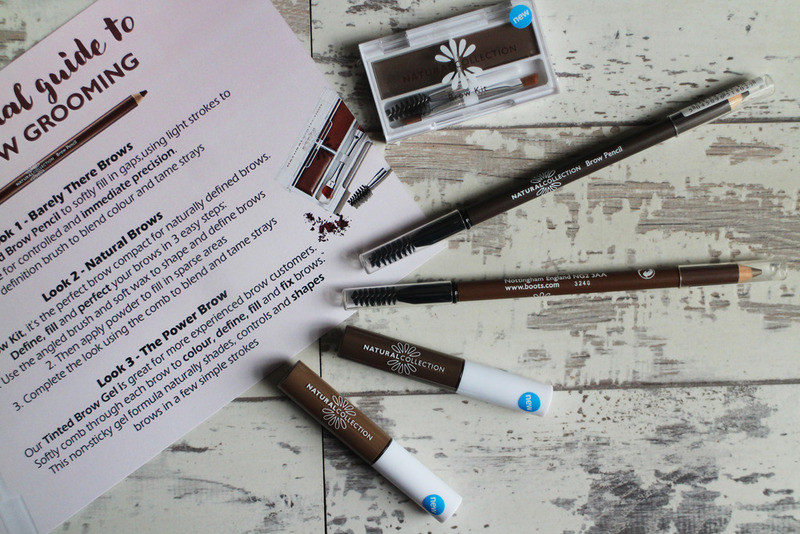 The Natural Collection Double Ended Brow Pencil* is the one i've used the most so far - i have both medium brown and dark brown shade, the dark brown is better suited to my brows so i'll probably end up using medium brown as an eyeliner or i'll pass it onto someone else. It' dual ended so it has a pencil on one side and a spooly brush on the other. It's such a great brow product, it's quite pigmented but it's also quite light (if that makes sense?) so you can achieve a full and natural brow. The Natural Collection Brow Kit* comes with a brow powder and a wax; there's not shade on the little palette so i don't know how many shades there are or which one this is classed as but it's a dark brown shade and it suits my brows pretty well. It comes with a adorable tiny spooly brush and a dual ended brow brush both of which are actually pretty decent to use - the powder is great for filling in any sparse areas of the brow and the wax is great to shape and set the brows in place. 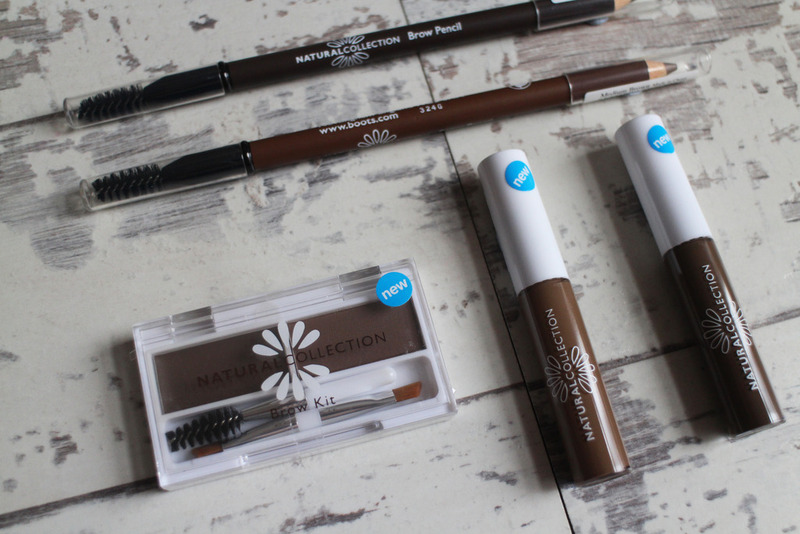 They Natural Collection Tinted Brow Gel* are the only products that i'm not too sure about. I have the shades medium brown and dark brown - so far i've only tried the dark brown, the shade matches mine brows just fine but the brush on this is quite big and the first time i used this i ended up with really bold almost scouse brows - it wasn't pretty. I'm going to keep working with it and see if maybe it's just one of those products that take a bit of getting used to. Secondly, we have theire new range of highlighters - these have been designed to work all together as a blush, bronzer and highlighter. Personally, i wouldn't wear them all togther as they are all shimmery and i feel like i'd end up as a disco ball seperately however, they're pretty damn good. The Natural Collection Highlighter Stick in Rose Glow* is by far my favourite one and the one i've used the most, it's a gorgeous pink pearlescent highlighter and it looks so pretty on. The shimmer is quite chunky so it does need to blended out, i find a sponge really helps but this gives the skin a really beautiful glow. The Natural Collection Highlighter Stick in Coral Glow* is the blush and it's really pretty on. It does have shimmer in it but it's so pretty and that shimmer adds a nice glow to the skin. I feel like this would be the perfect summery blush - just a shame the UK doesn't seem to have much of a summer. The Natural Collection Highlighter Stick in Copper Glow* was the one i was most nervous about, a shimmery bronze highlighter to be used as a bronzer - i didn't really know what to expect. I applied a little bit on the cheeks like you would a contour and blended it out with a sponge and it was actually really good - you could really see the contour and the shimmer was actually quite subtle (may have helped that applied a very small amount) but i was so impressed. All of these products are only £1.99 and i have to say they are pretty good. It's so nice to see a range of highlighters and brow products that are so affordable, not everyone has the means to spend £10+ on a single product, so i think it's great that Natural Collection have now catered to that and it's even better than the products are good quality too. 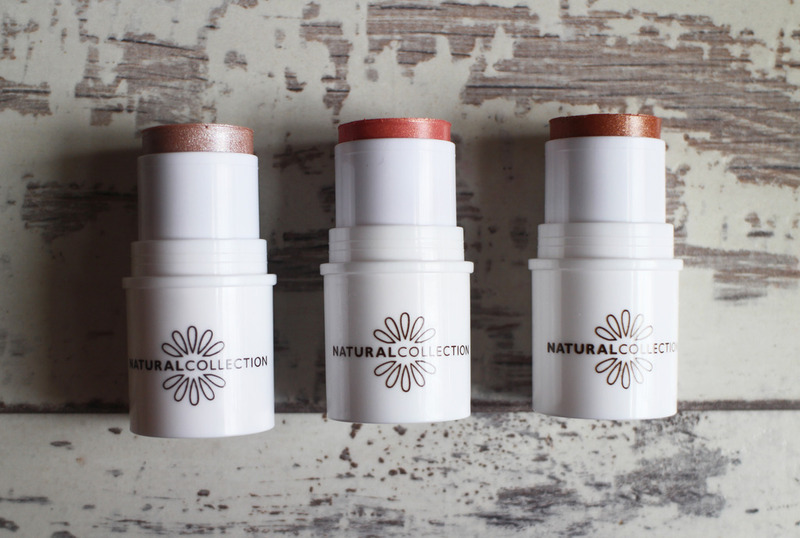 Have you tried any of the Natural Collection's new releases? I'm really liking them - i think they're really good for the price!